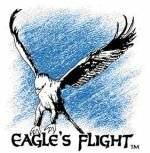 Eagle’s Flight is an innovative leader in the development and delivery of practical training programs for the global business community. Through the use of experiential learning, we assist organizations of all sizes in gaining a competitive edge by significantly strengthening their workforce. Globally, our programs are offered in 18 languages and represented by international licensees in over 46 countries across the globe. We have had more than 5 million participants worldwide over the last 10 years. Our office in Bulgaria was launched in July 2006 and since then we have served many of the leading companies on the market and we have already trained successfully more than 6000 employees.